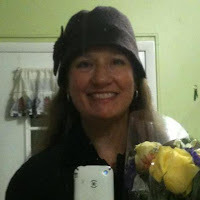 On January 19 and 20, I had to be (had to be?!) in Santa Barbara for PlayFest. 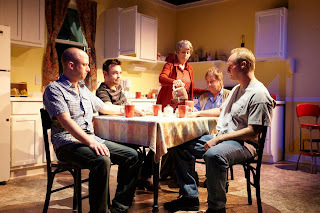 But two of my one-minute plays were being done back in New Jersey at Passage Theater in Trenton, home to the 2013 NJ One Minute Play Festival. 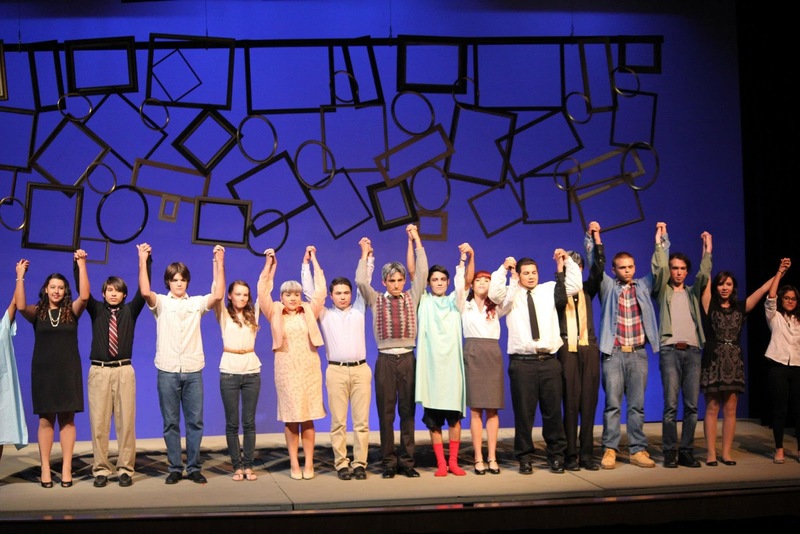 A celebration of theater and community, the one minute plays were submitted by writers from all over the state, and directed and acted by local talent. It was a great challenge to write these short plays -- like writing haiku. Wish I could have been there! "War Story" is about a couple soldiers who are caught in a no-win situation. "Higher" is about a couple who is weathering a storm, and figuring out what matters most to them as the water rises. 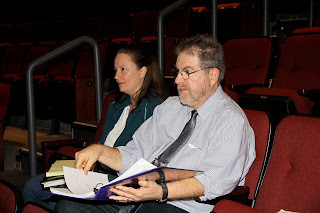 More about the NJ OMPF 2013 here. Pictures from PlayFest Santa Barbara! 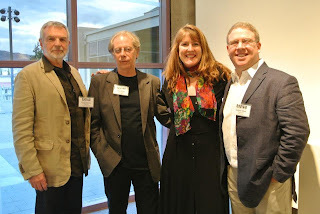 I had a wonderful time at PlayFest Santa Barbara in January. The inaugural festival included plays by me (If I Did This) and Catherine Butterfield (It Has to Be You), as well as a host of other events. I taught a playwriting workshop to a room full of eager students, young and old. And I even took a little time out from rehearsals to walk on the beach in the bright, warm, southern California sunshine. Beautiful!! Many thanks to the event's producers R. Michael Gros, Jeffrey Meek, and Amanda Kramer, to my hosts (who allowed me to stay in their lovely guest cottage), and to my cast. 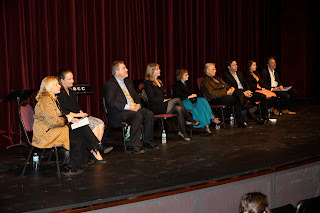 Talkback after the reading of "If I Did This" at PlayFest Santa Barbara with director and actors. 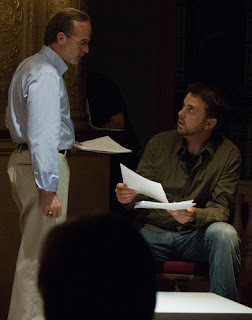 In rehearsal for "If I Did This" with director R. Michael Gros. 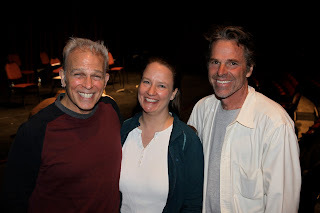 With two of my actors from the reading of "If I Did This." 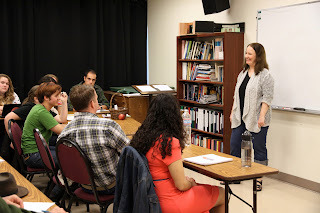 Teaching a playwriting workshop at PlayFest Santa Barbara, to Santa Barbara City College theater students as well as members of the community. Teaching playwriting fun (and fundamentals) at PlayFest Santa Barbara. With the indefatigable Amanda Kramer! Associate producer extraordinaire! The Santa Barbara waterfront is a five minute walk from campus. So pretty! Happy playwright at PlayFest Santa Barbara! "If I Did This" at PlayFest Santa Barbara! The new year is starting out with a wonderful invitation to sunny Santa Barbara! I hope that some of you will be able to attend this event. The co-artistic directors of the brand new PlayFest Santa Barbara -- Michael Gros and Jeffrey Meek -- have decided to include a reading of my new play "If I Did This" in their festival. Michael will be directing. A grieving mystery writer is hired to ghostwrite the "story of the century" -- but finds himself becoming part of the story instead. The Garvin Theater, where most of the festival events will take place, is located on the beautiful Santa Barbara City College Campus, overlooking the gorgeous Santa Barbara harbor. PlayFest Santa Barbara stages professional theater readings and workshops, and promotes original new plays, musicals, new translations and adaptations of classics by emerging and established writers. We provide theater lovers with the opportunity to attend performances, lectures, interviews, and master classes with some of the world's leading artists. PlayFest Santa Barbara takes place in the city of Santa Barbara, California -- known as the "American Riviera." 1pm - "A-5678! 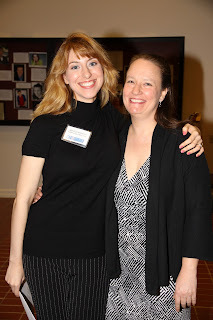 -- A Musical Review"
I'm very glad to have been accepted into Playwrights Theater of New Jersey's 2013 Emerging Women Playwrights Project, alongside Claire Porter and Yasmine Rana. PTNJ is a fantastic New Jersey theater that produces and supports the development of new work year round, through a wide variety of programs. I'm pleased that Artistic Director John Pietrowski invited me to be part of this particular initiative, which will allow the three of us playwrights to work on our new plays and support each other through out the year as we do so. I'll be continuing my work on "Magellanica: A New and Accurate Map of the World." Click here for more about PTNJ's EWPP! 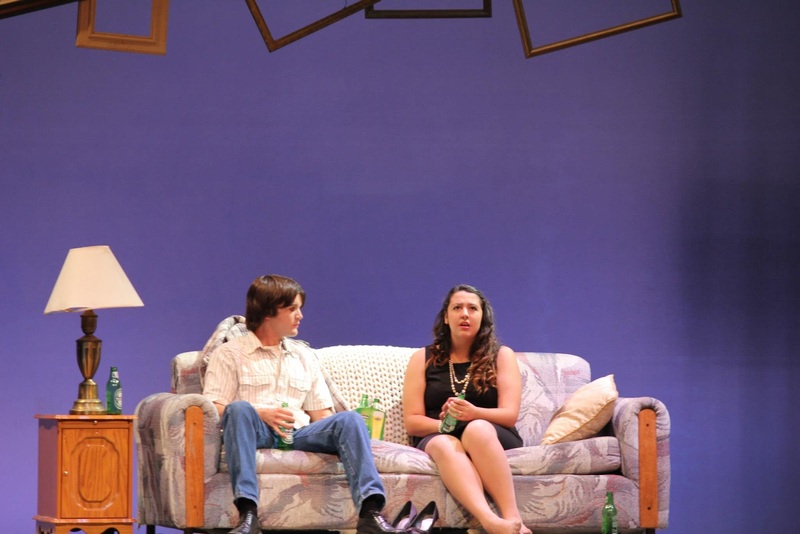 Founded in 1997, Page 73 Productions has made a name for itself as a home for the development and production of new work by early-career playwrights. I'm proud to have been selected to participate in Page 73's 2013 Interstate 73 Playwriting Workshop in New York City. 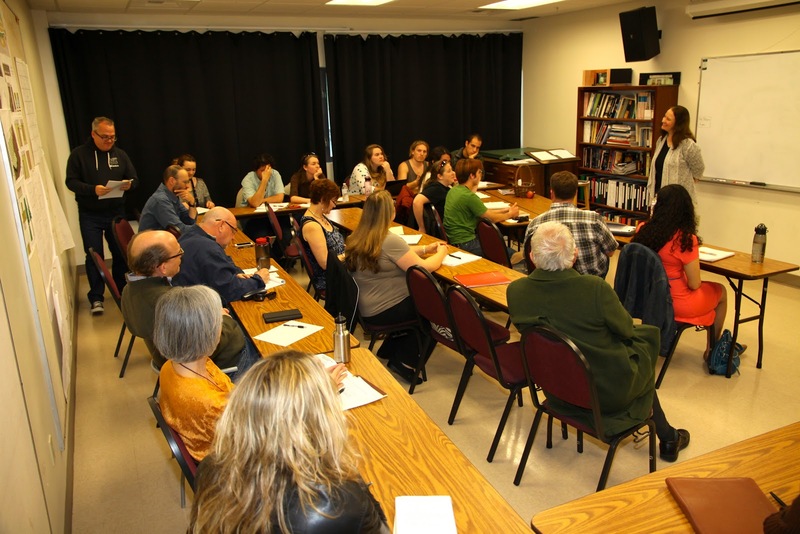 Playwrights in the group meet at the Page 73 offices twice a month to discuss and work on their new plays. 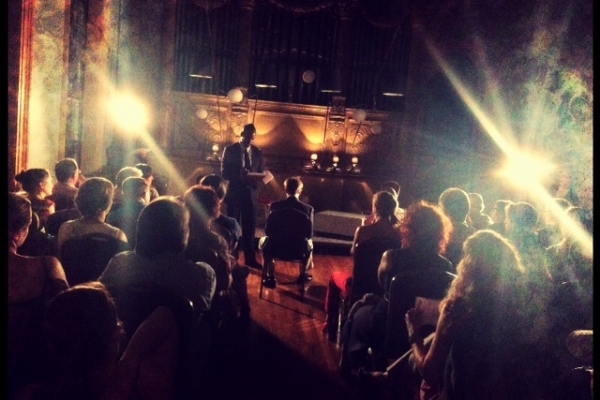 At a playwright’s request, the writer receives a public or closed reading of a play. The 2013 I-73 members are Stephen Brown, Meghan Deans, Peter Gil-Sheridan, David Jenkins, Kait Kerrigan, EM Lewis, and Caroline V. McGraw. What a wonderful year 2012 has been! Full of theatrical adventures, productions and good friends. Thank you to everyone I've had the pleasure of working with this year. I hope we can do it again soon! It's been a lovely year! Thanks, everybody! Recipients of fellowships from the New Jersey State Council on the Arts in 2012. I received a $10,000 fellowship from the New Jersey State Council on the Arts in January 2012. Because of this fellowship (which followed the Hodder Fellowship from Princeton University that I received for the 2010-2011 academic year), I've been able to write full-time again this year. The direct result of that opportunity to concentrate on my writing has been that this was my busiest year EVER -- in terms of both writing and productions. 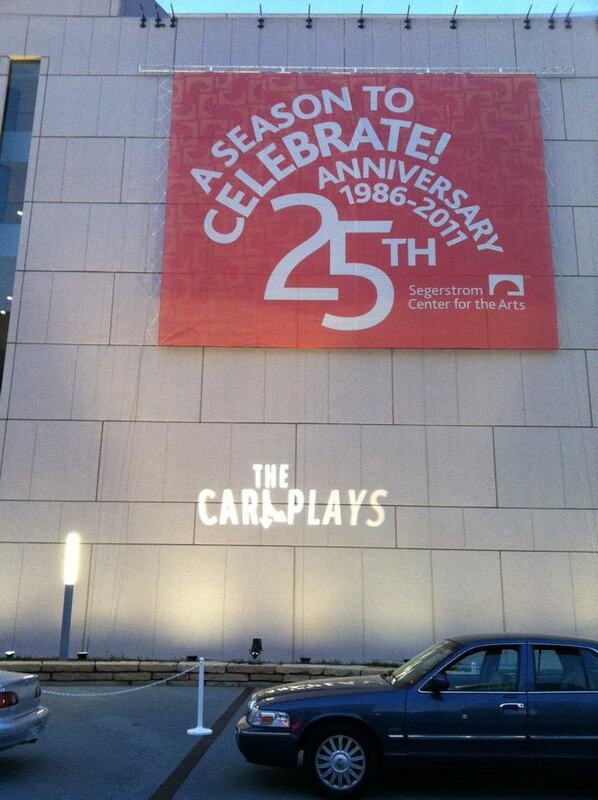 Moving Arts' The Car Plays at Segerstrom. Warren, Daria and Peter -- very cozy in the front seat! "Bohemian. Like You." 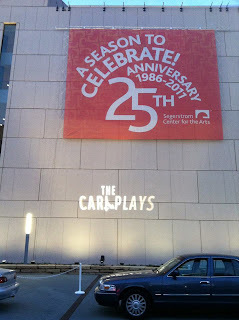 in Moving Arts' production of The Car Plays in the Off-Center Festival at the Segerstrom Center for the Arts. Directed by Darin Anthony. Featuring Peter James Smith, Daria Balling and Warren Davis. A great weekend of table work on this new play -- a murder mystery, of sorts. Followed by the reading of an excerpt. Workshop, and reading of an excerpt from new full-length play "If I Did This" at Passage Theater. Directed by David Hilder. Featuring Chad Hoepner, Kathryn Markey, David Crommett, Brielle Silvestri, and Nedra McClyde. Linny, played by Michael Zlotnik. "Reveille" in Moving Arts' production of The Car Plays in the Without Walls Festival at the La Jolla Playhouse. Directed by Sam Woodhouse. 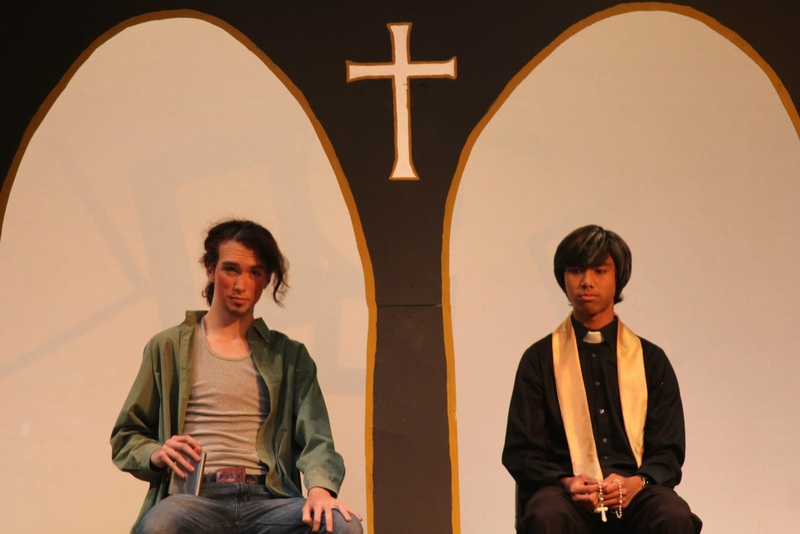 Featuring Will Tulin and Michael Zlotnik. 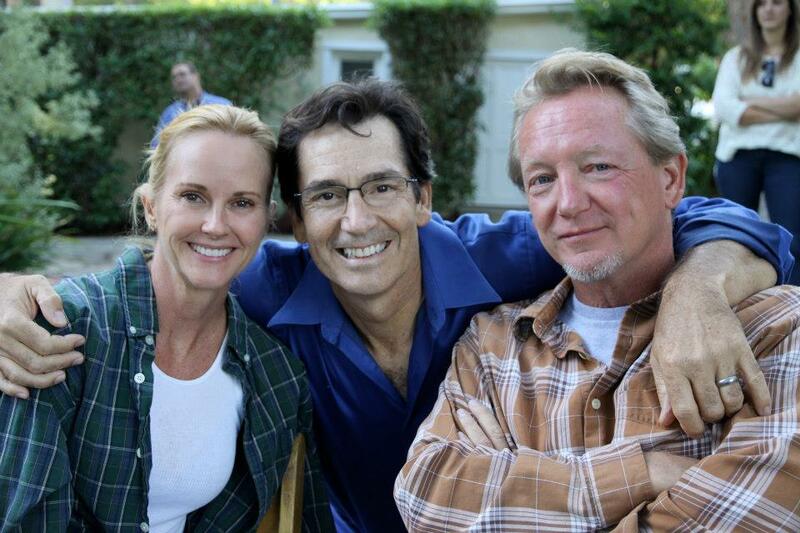 Terry is caught in the middle in "Partners." "Partners" in the Briefs Festival, produced by That Uppity Theater Company and Vital Voice Media. Directed by Bonnie Taylor. Featuring Wendy Renee Greenwood, Robert Lee Davis III, and Elizabeth Graveman. Riffing on Asimov and Occupy for Flux Theater Ensemble's "ForePlay: Human 2.0. 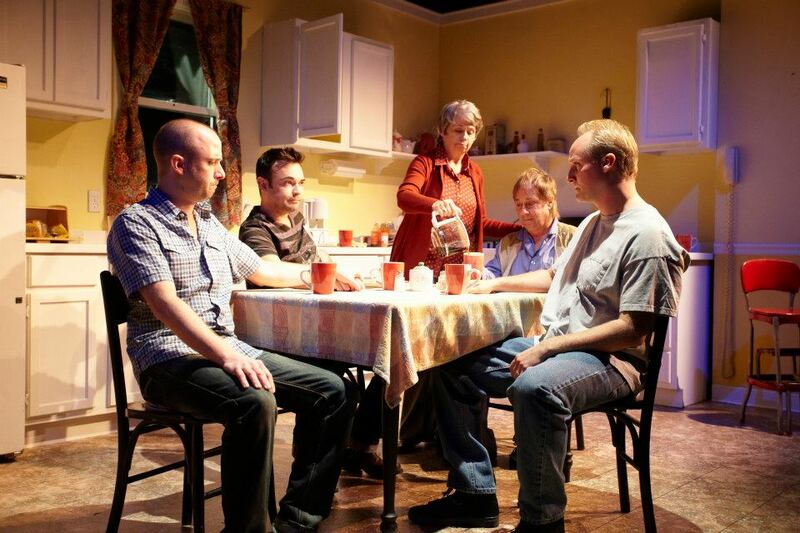 "Apple Season" in the Six Women Playwriting Festival. So glad to be in the festival with my pals Babs Lindsay and Maureen Brady Johnson! "Apple Season" in Six Women Playwriting Festival. Directed by Birgitta de Pree. Featuring Joye Levy and Anthony Archer. New York, NY. Directed by Pete Boisvert. Featuring Matt Archambault, John Greenleaf, Marianne Miller, Stephen Conrad Moore, and Jane Lincoln Taylor. 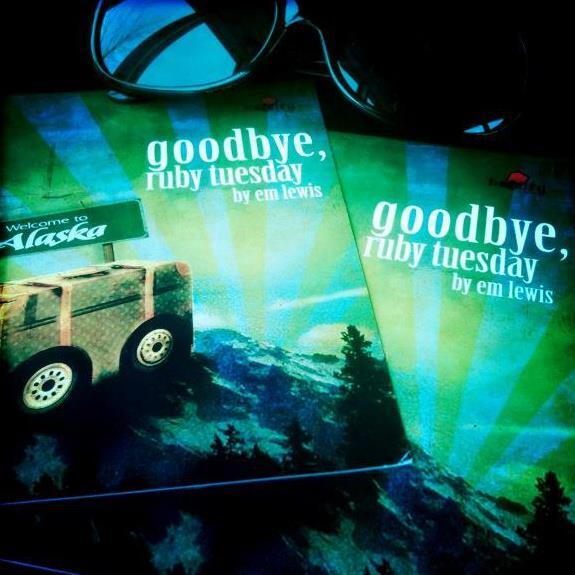 World Premiere of "Goodbye, Ruby Tuesday" at HotCity Theater in St. Louis, MO. The World Premiere of "Goodbye, Ruby Tuesday" at HotCity Theater. Directed by Bill Whitaker. Featuring Nicole Angeli, Charlie Barron, Peggy Billo, Joe Hanrahan, Rusty Gunther, and Eric White. Director Jeff Meek with the cast of "Apple Season" -- Rebecca Staab and John Walcutt. "Apple Season" at the PlayFest Santa Barbara FunRaiser. Directed by Jeffrey Meek. 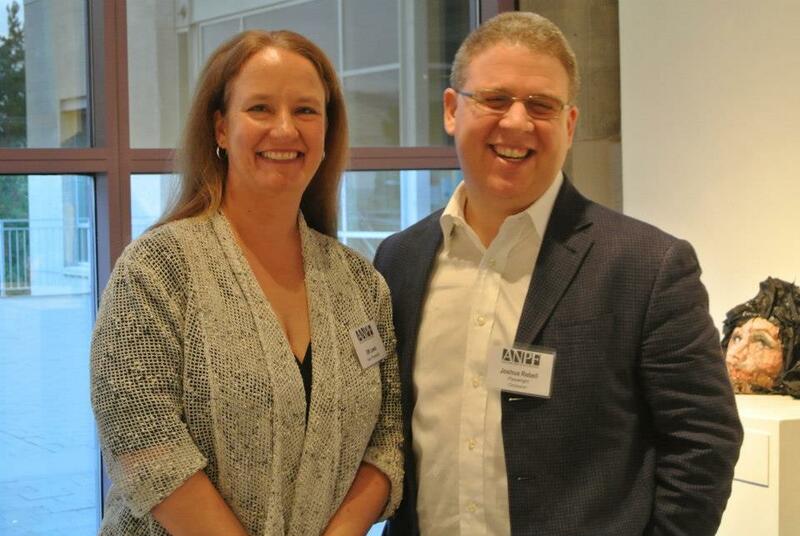 Featuring Rebecca Staab and John Walcutt. Always a pleasure to work with my pal David Hilder! 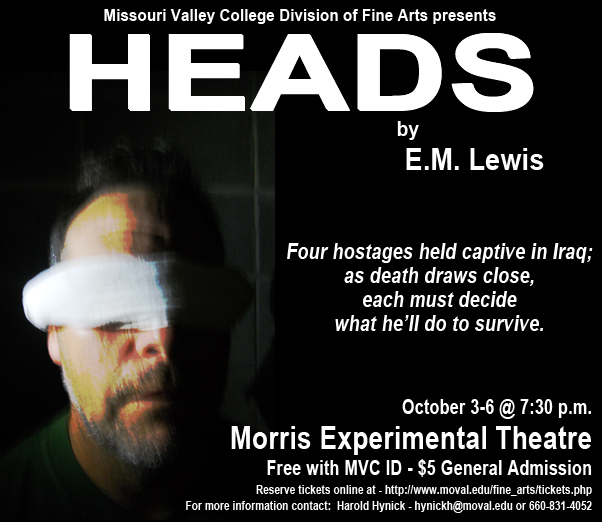 Reading of "Heads" at West Windsor Arts Council, produced by NOW Theater Company. Directed by David Hilder. Featuring Chris Coucill, Thia Stephan, Christian Conn, and Eric Rolland. "Heads," produced by Missouri Valley College. Directed by Harold Hynick. Featuring Thomas Waller, Samantha Hill, Matthew Ford, and Joshua Tag. The Last Four Things My Father Held Against Me. Six Bottles of Heineken After the Silverado. And All the Roses Falling. So many actors they don't even fit in the picture! 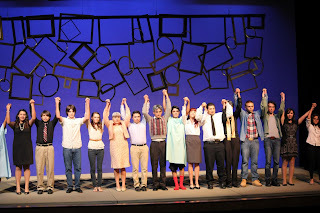 "Infinite Black Suitcase" at Colony High School in Ontario, CA. 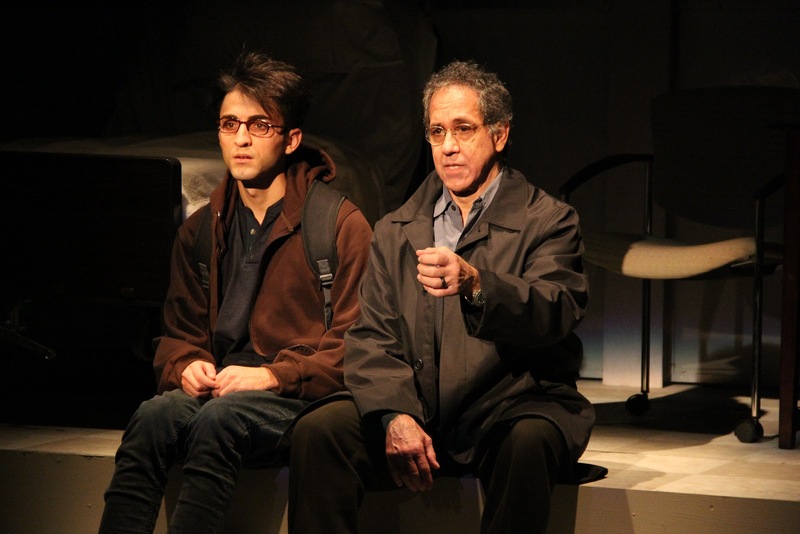 "Infinite Black Suitcase" at Colony High School. Directed by Arik Boles. First high school production of this play! Max and Ellery. 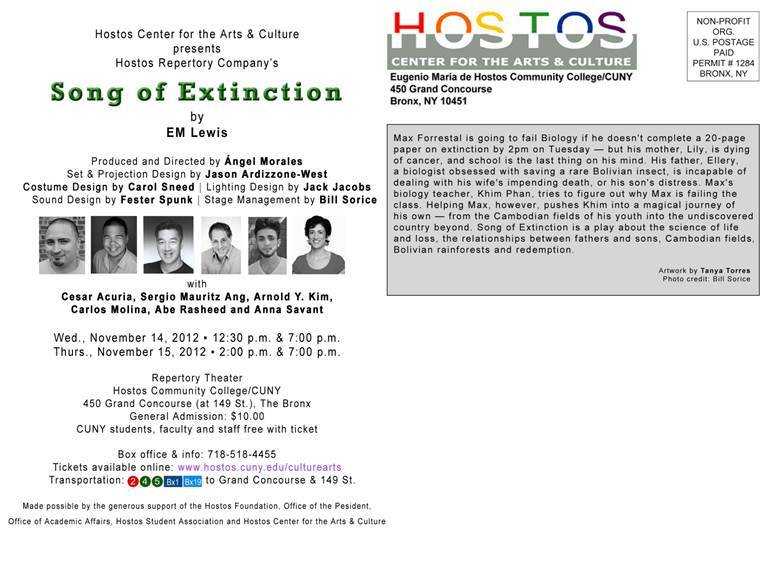 "Song of Extinction" at Hostos College. 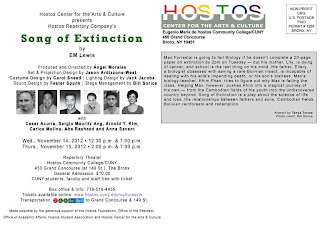 "Song of Extinction" at CUNY: Hostos College. Also Book-of-the-Semester! Directed by Angel Morales. 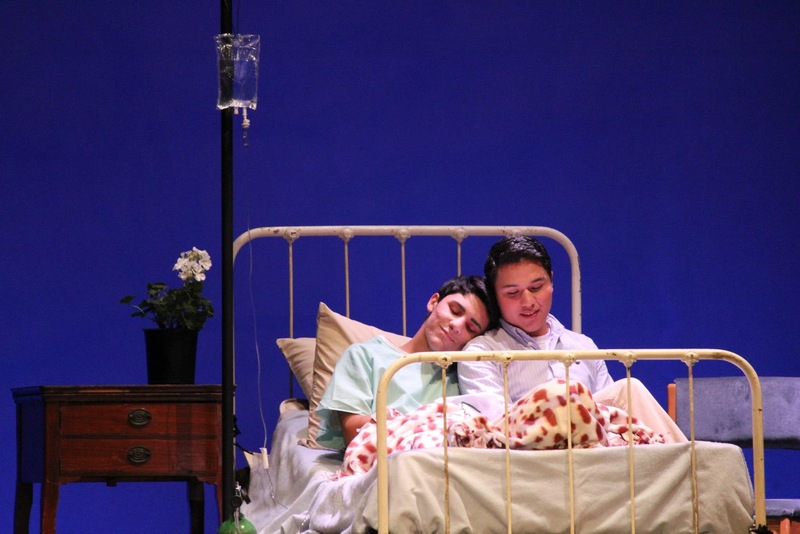 Featuring Abe Rasheed, Arnold Kim, Carlos Molina, Anna Savant, and Cesar Acuria. 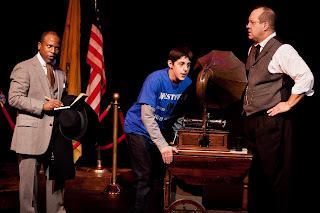 Trevor Tucker is lost in time, exploring the history of Westfield, NJ! A family-friendly history play, written for Premiere Stages' new "Liberty Live" program. 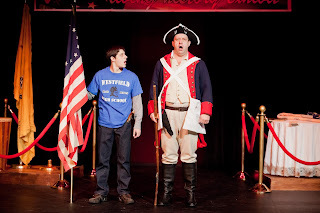 "Talking to Westfield" - the inaugural Liberty Live commission - Premiere Stages. 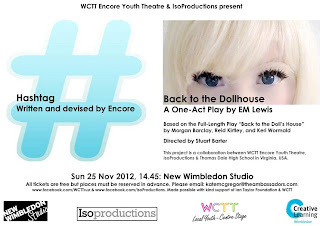 Directed by John Wooten, dramaturged by Clare Drobot. 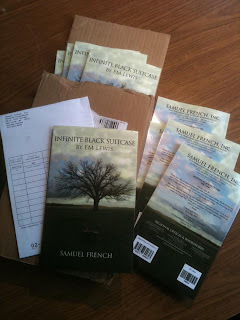 "Infinite Black Suitcase" by EM Lewis, published by Samuel French. 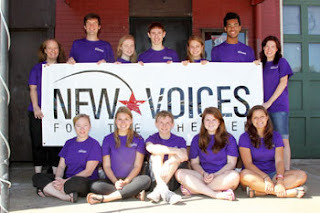 to work with them for the two weeks of the "New Voices for the Theater" residency. Playwright-in-Residence at "New Voices for the Theater" at the School of the Performing Arts in the Richmond Community (SPARC). Taught fundamentals of playwriting to eight teen playwrights, and mentored them as they rewrote their plays in preparation for performance. 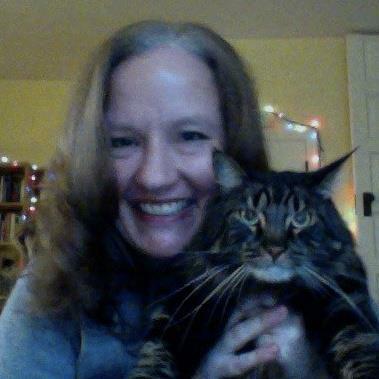 This is a fantastic program, run by the indefatigable, absolutely fantastic Laine Satterfield. A big thank you to Babs Lindsay, last year's PIR, for recommending me! It was a joy. So glad to be back as the Host Playwright for the Ashland New Plays Festival 2012! The four winning playwrights of ANPF 2012! Welcomed the four winnning playwrights, conducted talk-backs, and taught a playwriting workshop. This was my third year as ANPF host playwright. With director Angel Morales and Book-of-the-Semester coordinator Robert Cohen. 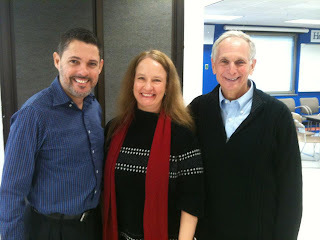 It was such a pleasure to get to know them and their students at Hostos College! I was able to participate in a post-show discussion, as well as in two panel discussions over the course of the semester. My play was read by more than a thousand students, faculty and staff in all departments at Hostos College while it was book of the semester. 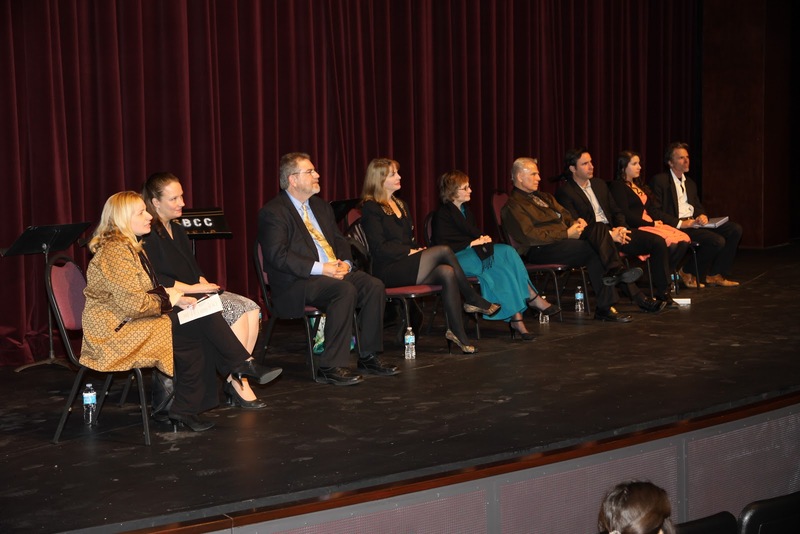 Activities included panel discussions and presentations by the History, Theater, Music, Biology and English departments. I participated in several of these events! I'm very proud to have been named a finalist for this fellowship. The Page 73 group provides wonderful support each year to playwrights, and have fostered the careers of some amazing people! 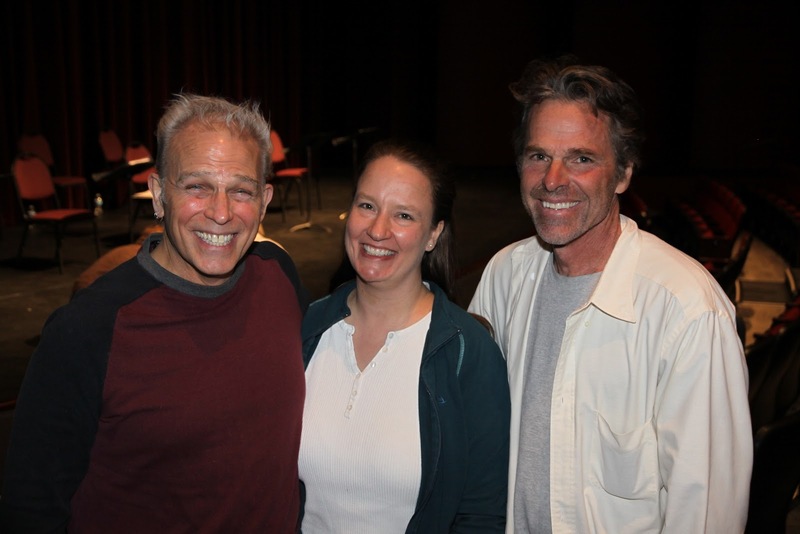 Participated in Flux Theater Ensemble's "Flux Sundays"
Became the Dramatists Guild Representative for the state of New Jersey, and wrote reports from our state's theater scene for each issue of "The Dramatist." It's a pleasure to serve my guild, and to get to know my fellow Garden State playwrights and theaters a little better in the process! I was able to complete a draft of this new full-length play this year. It is a murder mystery of sorts, about questions of culpability and narrative voice. I workshopped it at Passage Theater in Trenton, and had a very successful staged reading of the play by Flux Theater Ensemble at Judson Memorial Theater in Trenton. (Thank you to directors David Hilder and Pete Boisvert!) I'm still exploring and editing the play, but have begun to send it out. 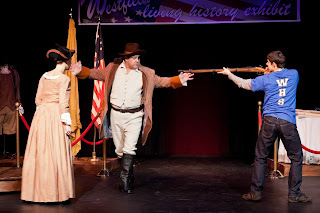 I was commissioned by Premiere Stages in Union, NJ to write a family-friendly play about the history of Westfield. It was the first in what they hope to be an annual program called "Liberty Live" -- where New Jersey playwrights will explore the history of various cities and towns throughout the state. Our original November performance dates were changed because of the hurricane, but we were able to go up in December. I made great strides on this large-scale play-in-progress this year. It is about eight scientists and engineers who winter over at the South Pole Research Station in Antarctica in 1985. Part one is finished, and part two is nearly done. 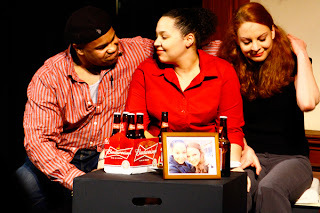 I will be continuing work on this epic project in 2013 as part of the Playwrights Theater of New Jersey Emerging Women Playwrights Project and also in Page 73's Interstate 73 Playwriting Workshops in New York City. I don't usually find cause to expand a ten-minute play, but Apple Season is proving to be an exception to that rule. 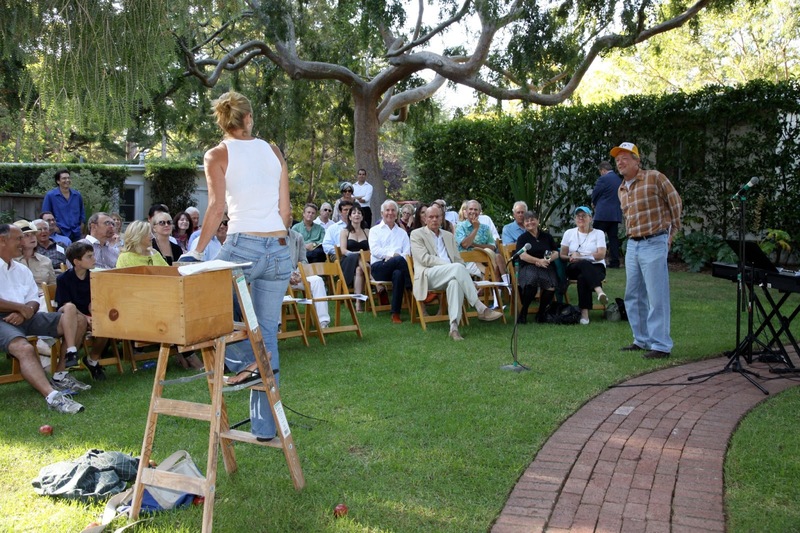 I wrote it initially for Theatricum Botanicum's "Seedling" program in Topanga Canyon, CA -- they prompted a handful of writers with whom they'd worked before to write a short play for them on the theme of "backyard fruit." 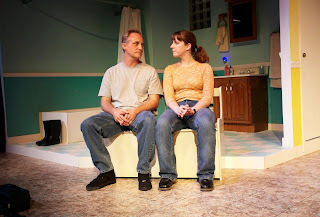 I ended up writing a dark little play about a woman who returns to her family farm in Oregon after her parents' death, and and old friend who wants to buy the place from her. It was read at TB, and had its first production this year at the Six Women Playwriting Festival. It went over like gangbusters -- but everyone wanted more. So I've been working to turn it into a full-length, two-character play. The long version is set to have its first reading in January at a festival, so stay tuned! My work with the SPARC: New Voices for the Theater program in Richmond during the summer led to two exciting projects this fall. SPARC liked the curriculum I used during my time as their playwright-in-residence, and paid me to write a Teachers Manual that they could distribute to Virginia high school teachers whose students are the constituency for New Voices. I'm very proud of both the curriculum and the manual! We hope it will help generate more plays for this wonderful, long-running program. 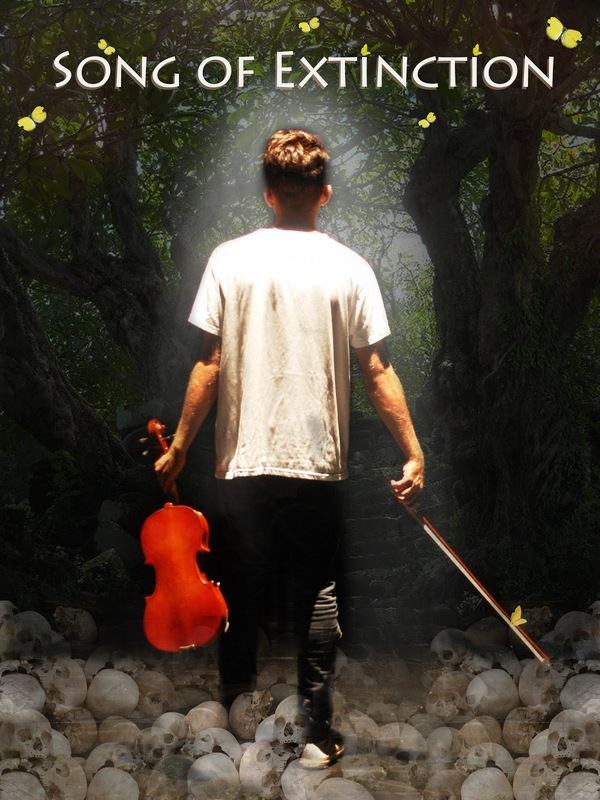 A director/teacher friend of the program, Keri Wormald, then hired me to write a one-act adaptation of her new full-length play that could be performed by a group called ISO Productions in London, with whom her Richmond high school theater class trades performance projects. 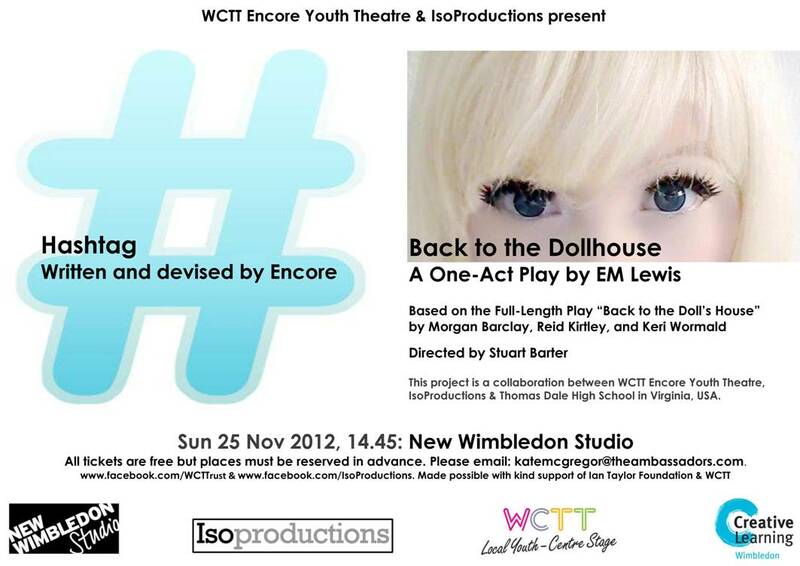 My play "Back to the Dollhouse" was performed in November, and we hope that it will have a continued life! 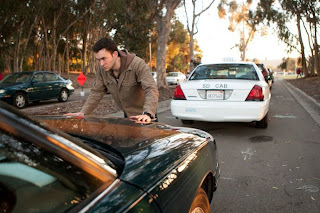 This ten-minute play has had multiple productions in Moving Arts' "The Car Plays" in Los Angeles. I am now working with a friend to turn this short play into a short film, adapted by me and directed by him. I wrote a new short play called "I, Human" for Flux Theater Ensemble's "ForePlay" event in the spring, in which they ask writers to create new plays that riff on the themes of their mainstage show. 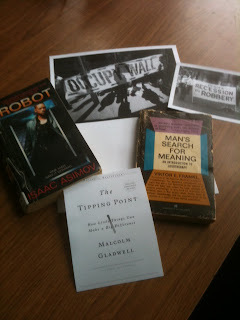 My play connected the work of Isaac Asimov with the Occupy Movement to talk about morality in robots... and people. I wrote "Waiting for the Skell" -- a short, comic sequel to my short play "Partners" -- about two cops. It is going to be performed in the Briefs Festival in St. Louis in March 2013. I wrote two one-minute plays for the upcoming New Jersey One Minute Play Festival, which will be held at Passage Theater in Trenton in January. "War Story" and "Higher" will both be performed, along with scads of other really, really short plays by some of my NJ playwriting colleagues. Should be tons of fun. Here's to more fun and more plays in 2013! Happy new year!